Style Inspiration: Working Woman – Lovely.Multifaceted.Chic. What’s up everyone? I wanted to share this look I created. This is something I would wear to work. It’s a twist to business casual. I rarely wear heels to work (I rarely wear heels anymore…smh) because of comfort and my constant moving around. I invested in some cute flats that I can wear at work or just for day-to-day wear. I normally wear earrings and bracelets all the time and rings often. 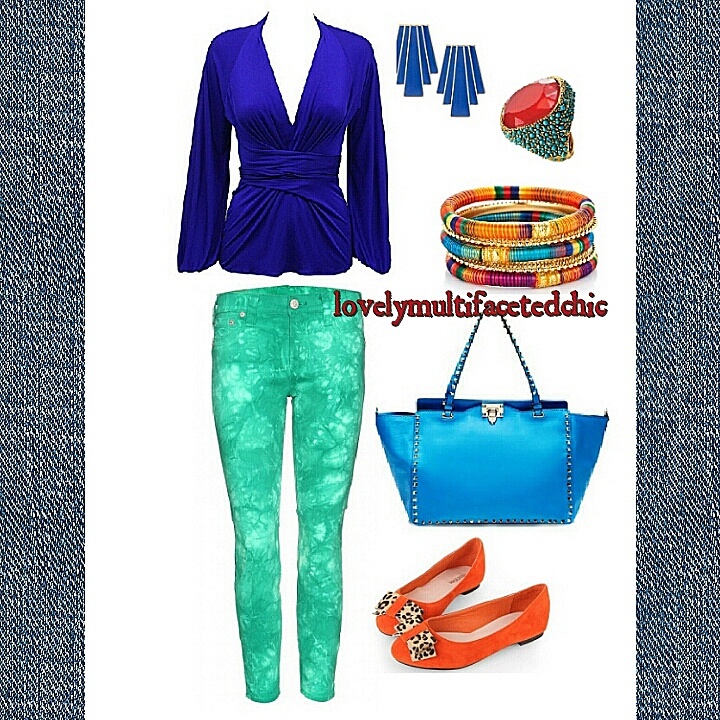 I think this look is fun and colorful. When I’m interacting with people, I tend to wear colors because I noticed that it brightens moods and channels good energy.